I made you a whole dinner! This is one of my favorite things to make for my boyfriend–he loves it. You can also make it with scallops instead of shrimp. The shrimp or scallops broil wrapped in bacon, which makes them almost impossible to overcook, and they don’t need any other seasonings! So simple and so delicious. You only need five ingredients (salt and pepper don’t count)! 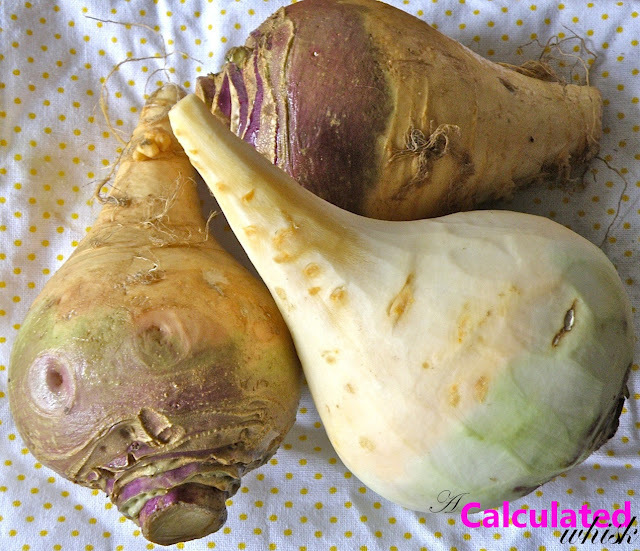 If you’ve never tried rutabagas (also known as yellow turnips), I highly recommend them. This creamy rutabaga is a healthier, more flavorful version of mashed potatoes. You’re going to love it! It’s adapted from Ina Garten, and you should check out her version, because it has an amazing crispy shallot topping. I usually make the crispy shallots, but they take a while and today I was in a bit of a hurry. I served the shrimp right on top of the creamy rutabaga, with a simple salad on the side. I plumped some raisins, toasted some pecans, and tossed them with baby arugula, olive oil, balsamic, and a little salt. The perfect summer dinner! To prepare the rutabagas, trim and peel them and cut them into 1-inch chunks. Put them in a saucepan with a generous pinch of salt and water to cover. Bring to a boil, then reduce the heat and simmer, covered, for about 35 minutes (they should feel tender like cooked potatoes when pierced with a fork). Drain them, and put them in a food processor with the milk, butter, and some salt and pepper. Process until smooth. 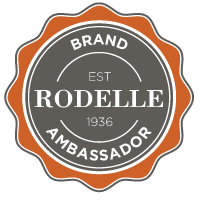 Taste seasonings and adjust as necessary. To make the shrimp, preheat the broiler and lightly grease a baking sheet. Cook the bacon in a skillet over medium heat until it is starting to brown but still very undercooked. Drain on paper towels. When the bacon is cool enough to handle, cut each piece in half lengthwise. 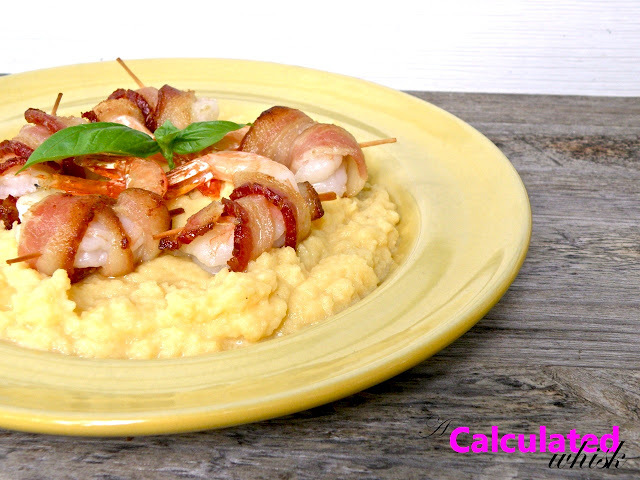 Wrap each shrimp with half a piece of bacon, using a toothpick to secure the ends. 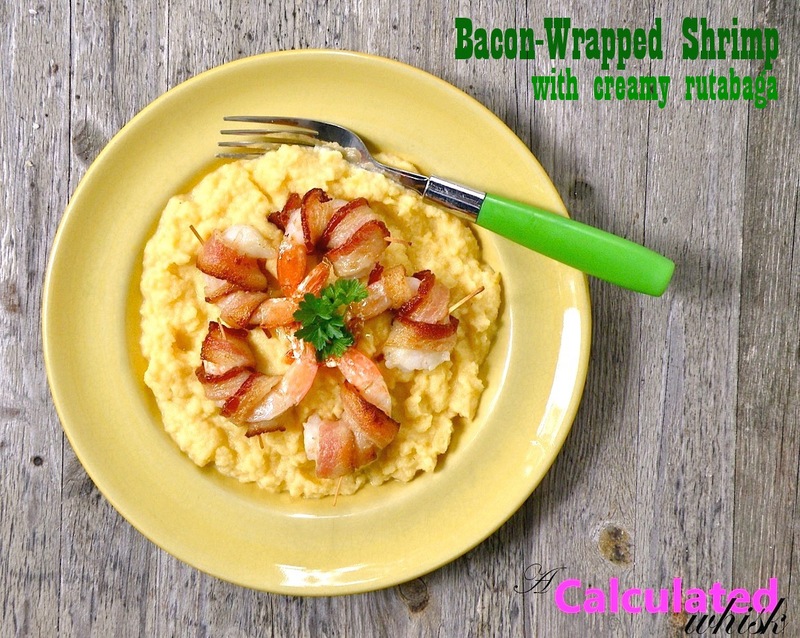 If you are using large scallops, you can wrap each one in a whole piece of bacon. Place the bacon wrapped shrimp on the baking sheet. Broil for about 3 minutes, then flip the shrimp over and broil for another 3 minutes or until the bacon is crisp and the shrimp are fully opaque. Scallops may need an additional minute or two if they are large. Serve hot. Nagyon köszönöm az olvasást! Nagyra értékelem a comment :). Én is egy fordító írni ezt, remélhetőleg van értelme!